EXPLORE, DISCOVER, AND EXPLORE SOME MORE. We’re creating a neighborhood where you will immediately sense something different here. 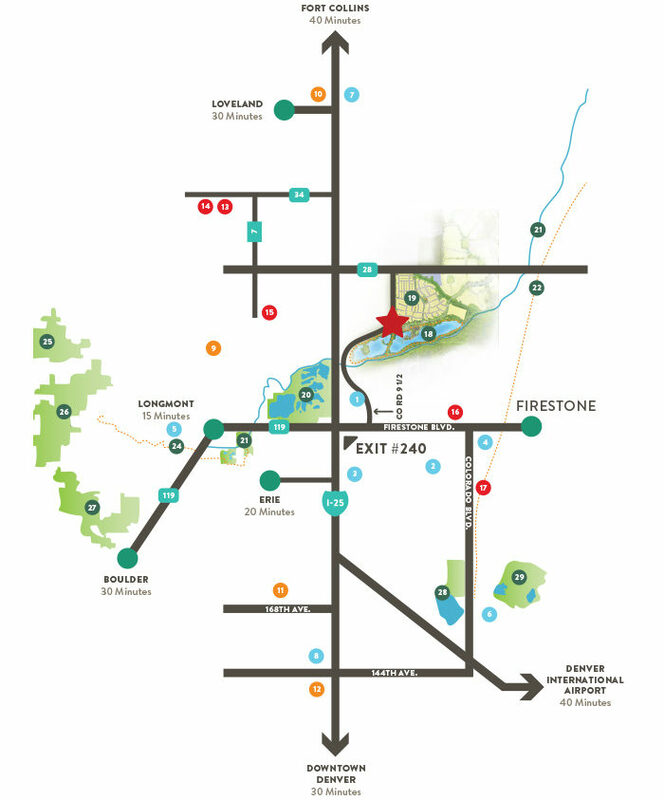 Find us 15 minutes east of Longmont just north of Erie and 30 minutes from downtown Denver, with immediate access to I-25 at Exit #240.